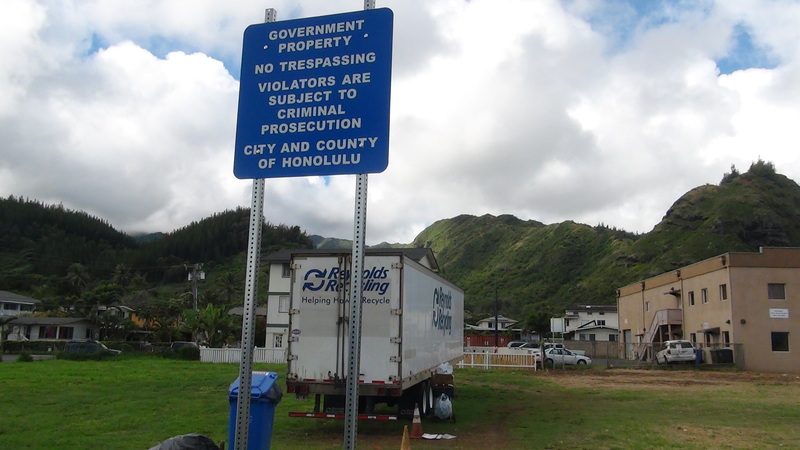 City shut down recycling business on Choon James’ Lot on October 21, 2013 by installing this sign in the middle of the entry way! 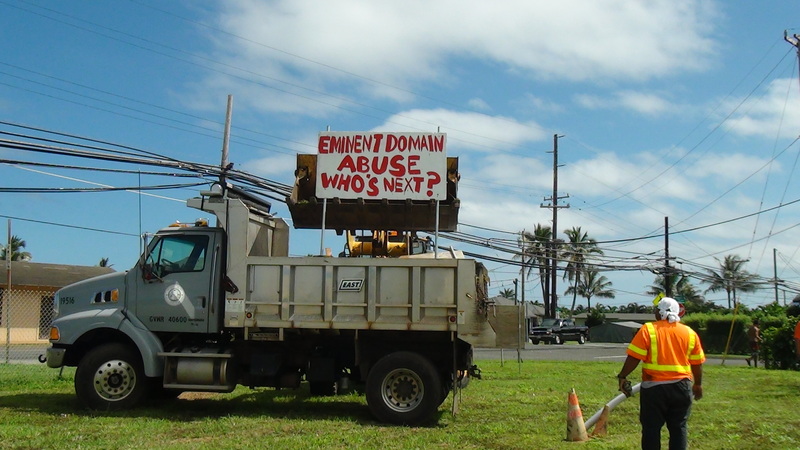 The lawsuit against eminent domain taking is not till March of 2014. 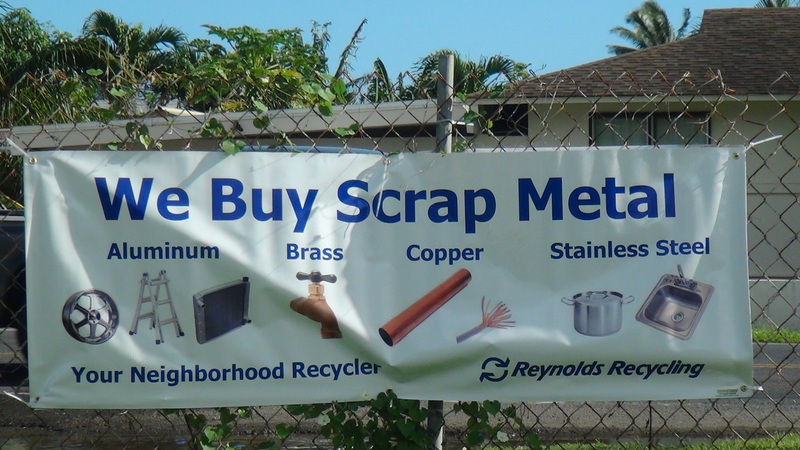 On December 20, 2013, the city moved Reynolds Recycling back onto the adjacent city-owned Lot 64! 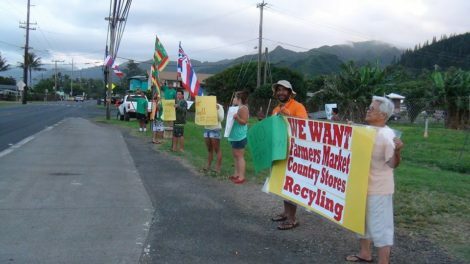 Unhappy Hauula residents have been calling the Mayor’s office at 768-4141 about his irrational Reynolds Recycling Shut-Down. 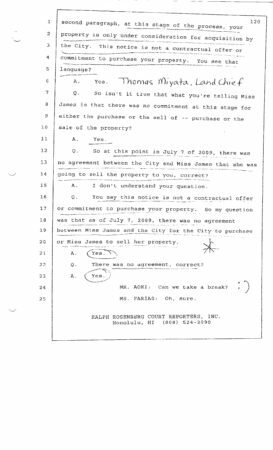 One mentioned he had been calling the office just about every day! 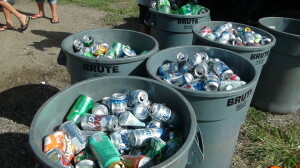 Regardless of which lot Reynolds Recycling is situated, this is a temporary fix to appease irate residents. Reynolds is now operating on a short lease. 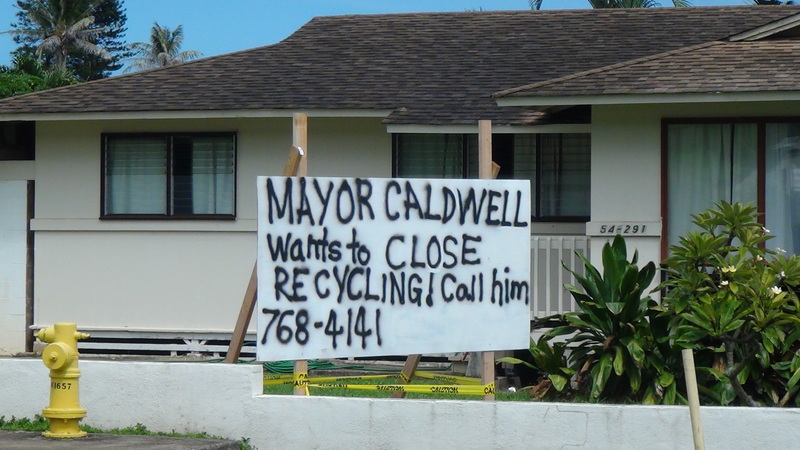 If Mayor Caldwell succeeds in hoisting his SUPER-EXPENSIVE $13 Million Hauula Fire Station Relocation project onto these last two remaining commercial lots, the Recycling business will disappear for good. 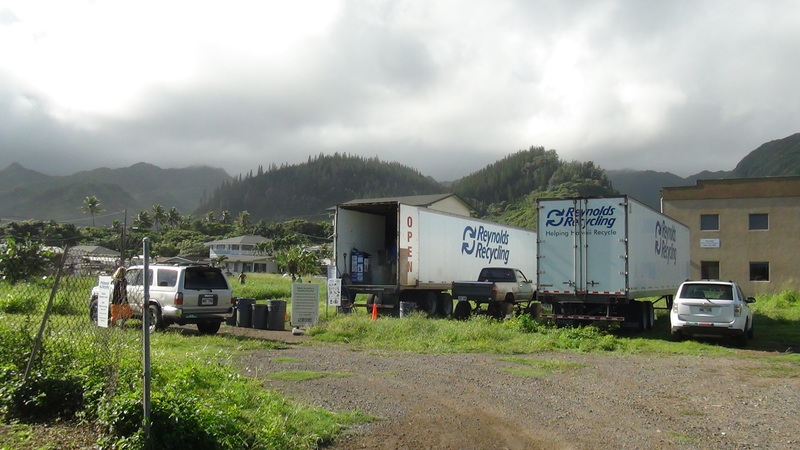 There is no other available commercial-zoned parcel to operate the recycling and related businesses in Hauula. 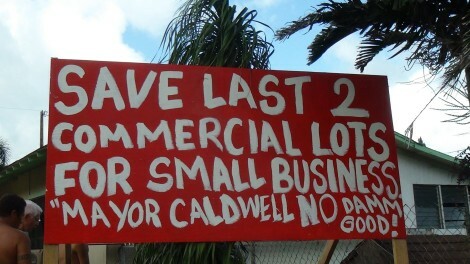 At the heart of this controversy is Mayor Caldwell’s insistence on additionally seizing the adjacent Choon James’ Lot 65. The city is vigorously suing in the circuit court to gain possession of her Lot through eminent domain by ‘necessity’. 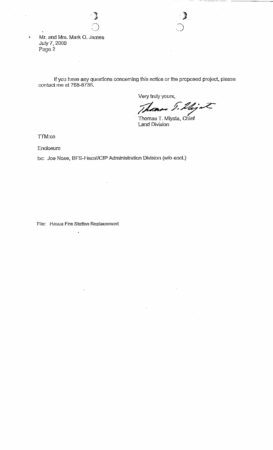 In fact, the city recently hired an Oakland, California architect for a “comprehensive study” to justify that an “Ewa Beach” style fire station is appropriate for RURAL Hauula! 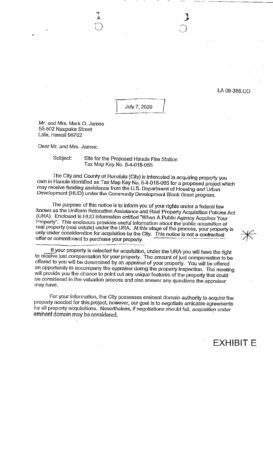 We sure would like to know how much taxpayers had to pay for that study from Oakland, California. The city already purchased the middle Lot 64 in 2010. 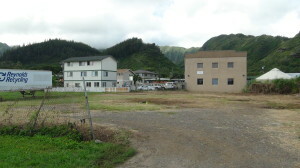 The 20, 297 square feet of land is sufficient to build a typical fire station in Oahu. 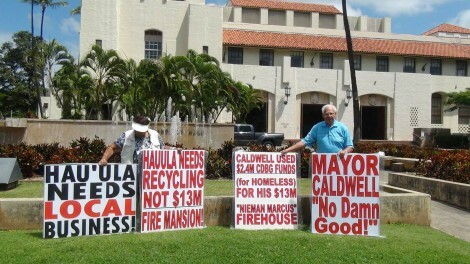 Curiously, Mayor Kirk Caldwell wants to build a SUPER-SIZED “Ewa Beach” style fire station in rural Hauula that requires Choon James’ Lot and at triple the cost! 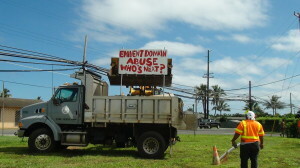 A typical Oahu fire station costs about $5 Million and sits on approximately 19,000 square feet of land. 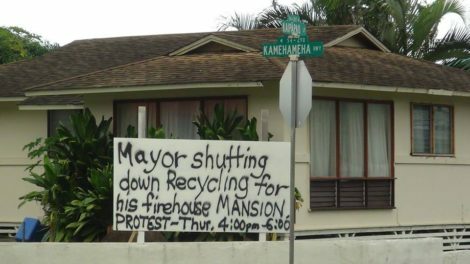 Former Mayor Peter Carlisle was amicable to working with Hauula’s affected parties by exploring alternate sites for the Fire Station Relocation. 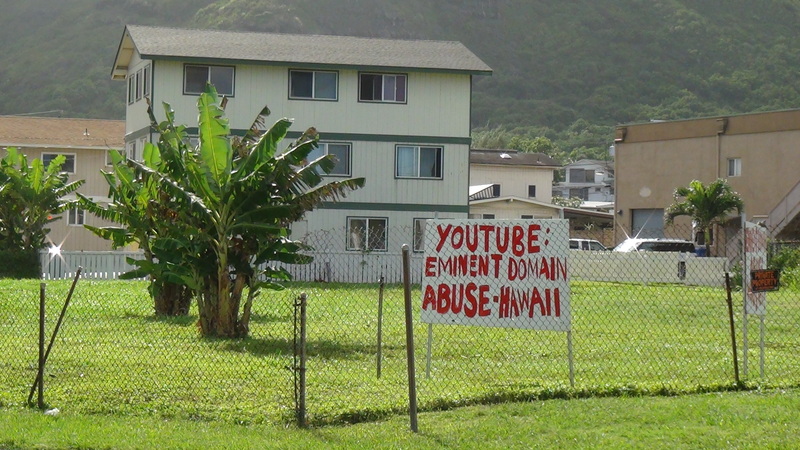 However, when Kirk Caldwell became the Mayor in 2013, the culture of bullying was resurrected. 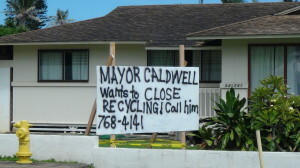 Caldwell was hell bent to push his irrational pet project forward. 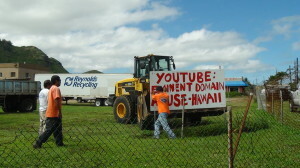 Subsequently, on May 29, 2013, Mayor Kirk Caldwell’s Department of Maintenance Services from Halawa conducted an illegal raid on Choon James’ free speech signs at her Lot 65, claiming the city had sole possession of the property. 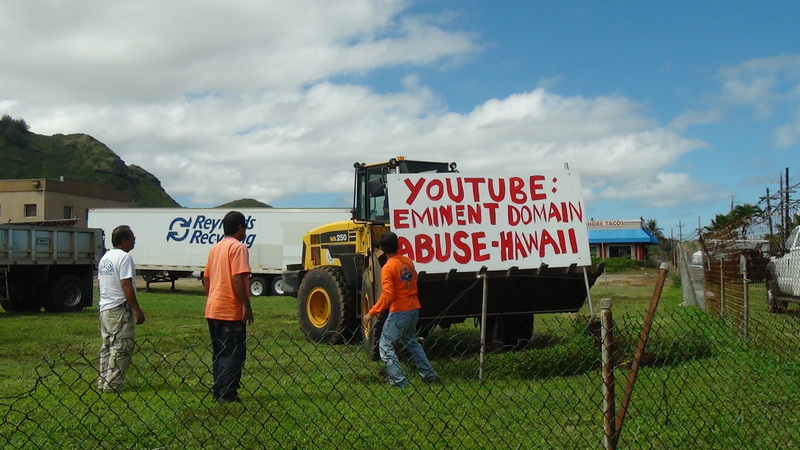 Their court hearing on the eminent domain case is not till March of 2014. 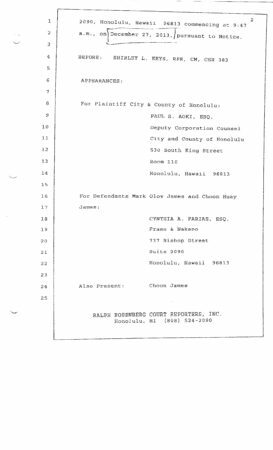 Subsequently, Choon James additionally filed a suit against the City and County of Honolulu’s illegal seizing of her free speech signs and violating her civil rights on August 13, 2013 . 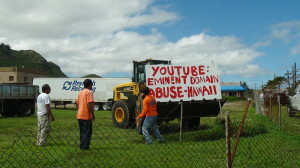 New eminent domain signs were created and erected. 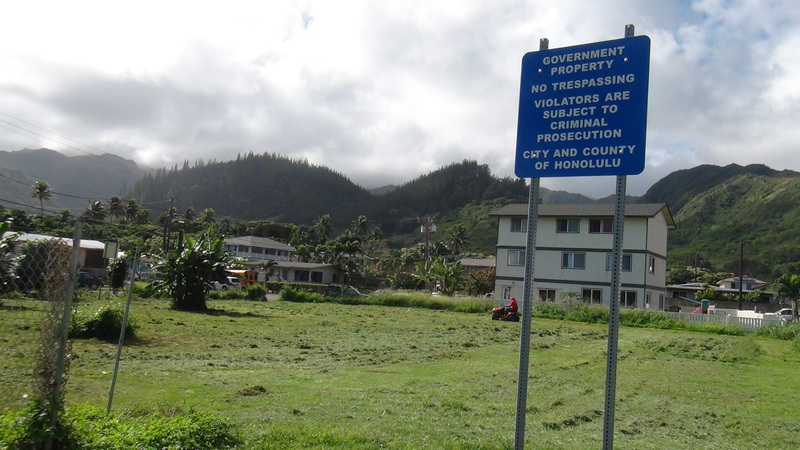 However, on October 18, 2013, Mayor Kirk Caldwell dispatched six police cars, a dozen city workers from Halawa Maintenance Facilities, a front end loader, and a couple commercial trucks to raid the signs, again! 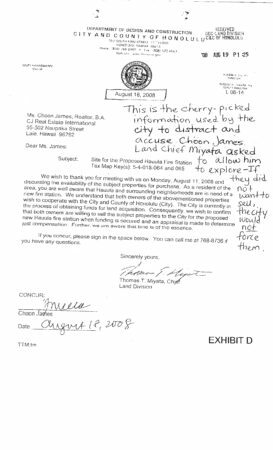 To further retaliate, on October 21, 2013, the city installed threatening signs on Choon James’ Lot of which she is still the fee owner. The NO TRESPASS sign was installed in the front entry to the Reynolds Recycling business. 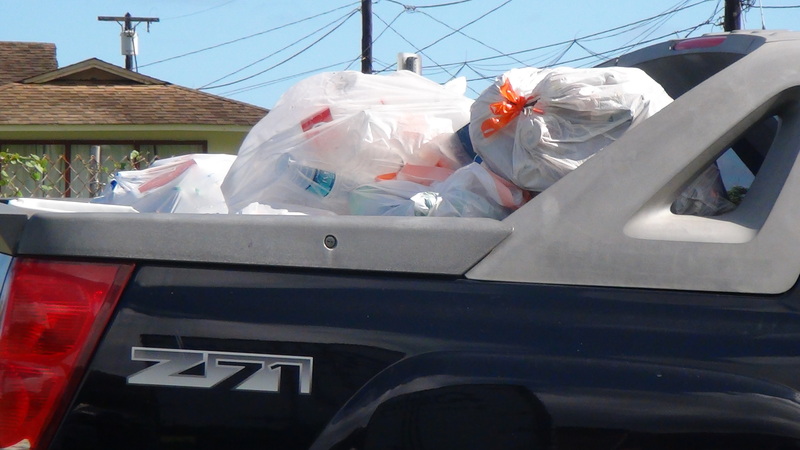 The city’s abusive and retaliatory action shut down her business with Reynolds Recycling on her private Lot 65. 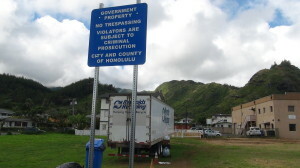 On the other hand, the city did not install similar ‘NO TRESPASS’ sign at the entry to their city-owned Lot 64. Nevertheless, residents are elated to have Reynolds Recycling return to Hauula. 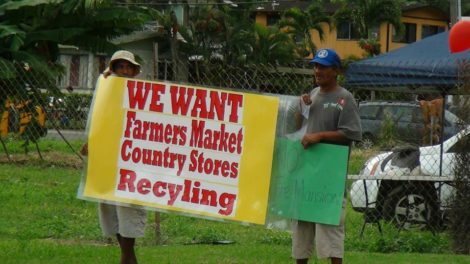 The overwhelming will of the people in Hauula is to maintain the last two commercial-zoned lots for recycling and other small businesses. The fire station relocation project can always explore other sites. However, the public wants an explanation as to why the Mayor forcibly shut down the Reynolds Recycling on private owner through the most egregious abuse of power . . . and then turned around . 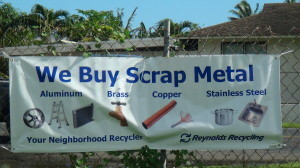 . . to have Reynolds Recycling return to its adjacent city-owned Lot 64 for business! 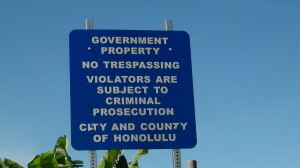 What monkey business is taking place at Honolulu City Hall? 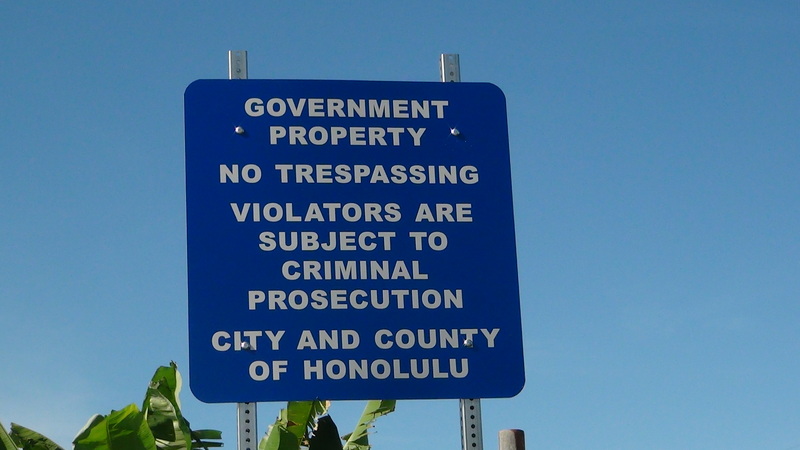 Why did the City and County of Honolulu steal business, through force and abusive power, from its private neighbor and force the same stolen business operation onto its city-owned property next door?